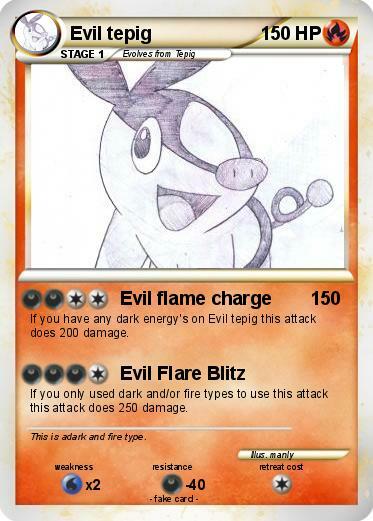 If you have any dark energy's on Evil tepig this attack does 200 damage. If you only used dark and/or fire types to use this attack this attack does 250 damage. Comments : This is adark and fire type.